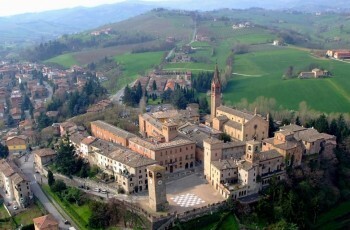 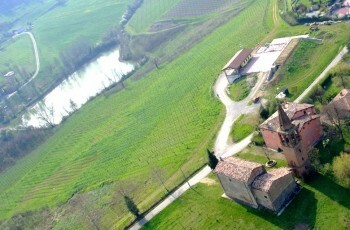 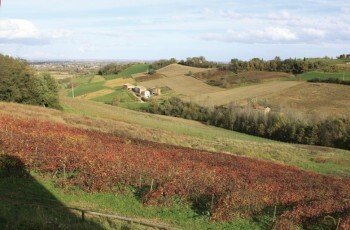 This principal variety of the vine-clad hills around the mediaeval village of Castelvetro also gives its name to the “Strade del Grasparossa”, the splendid pathways that one can take along the streams and ridges of the zone, in the midst of a unique landscape replete with vineyards and historic settlements, including that of Castelvetro, the small commune lying in the foothills of the Apennines, just a few kilometres from Modena. 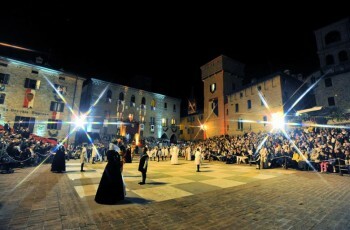 From the Castle of Levizzano to the historic centre with its picturesque Piazza della Dama, its alleyways and impressive buildings, Castelvetro offers a location whose history, art and gastronomy deserve to be experienced and enjoyed. 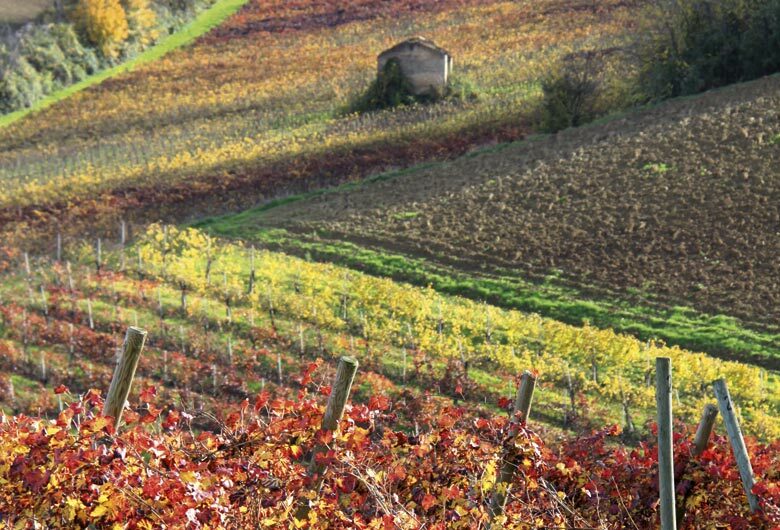 The terroir and microclimate of Pederzana are really special. 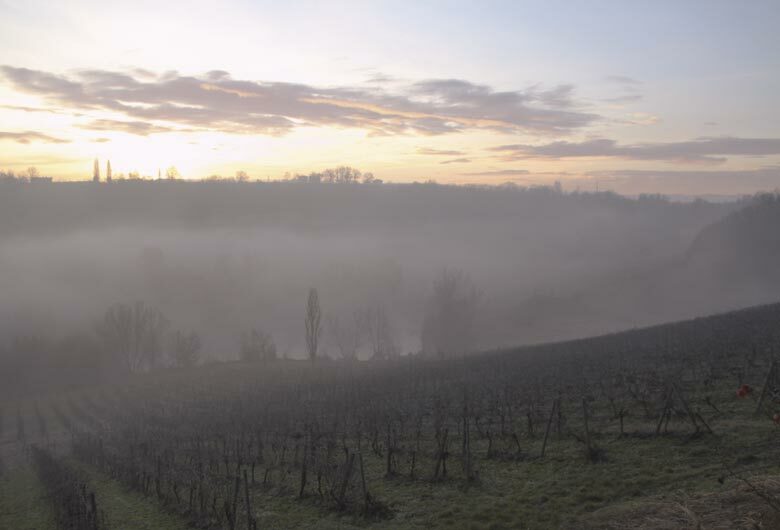 Sunlight bathes the Estate in the valley of Solignano Vecchio from the early morning onwards and it benefits from very cool air currents that create significant differences between day- and night-time temperatures: these are ideal for preserving the grapes’ varietal aromas and the successful ripening of their polyphenols. The clayey soil allows the vines to cope well even for quite long periods without any rain and the constant ventilation means that the vegetation always remains dry. 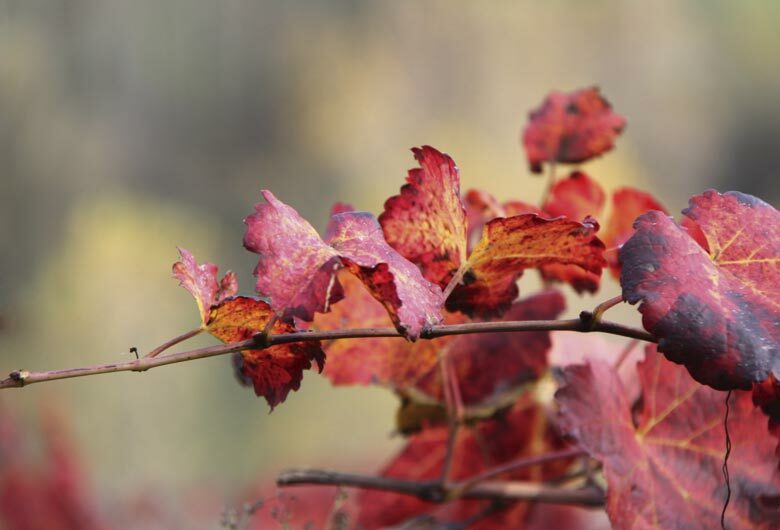 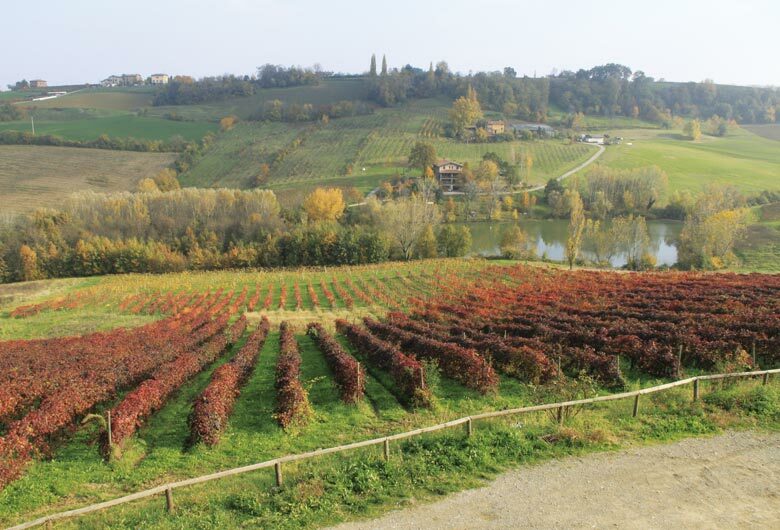 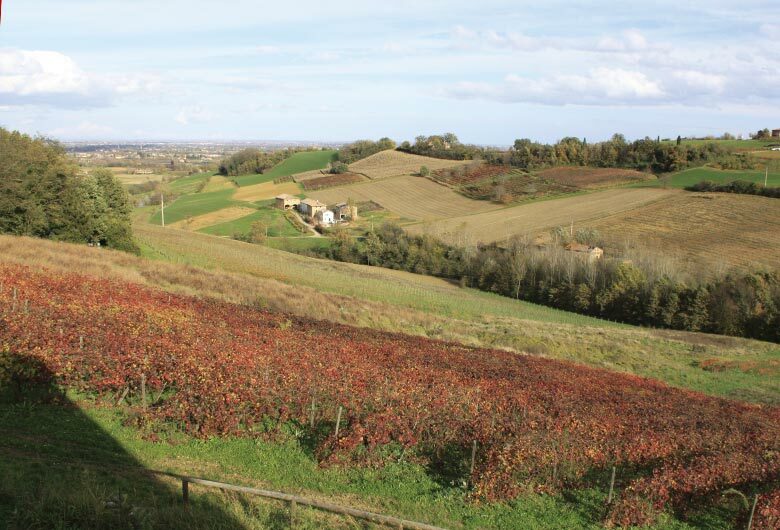 On these gentle hills of Emilia, Pederzana jealously preserves its ancient strain of Grasparossa grafted onto Golia rootstock in Guyot-trained vineyards with a plant density of around 4000 vines per hectare. 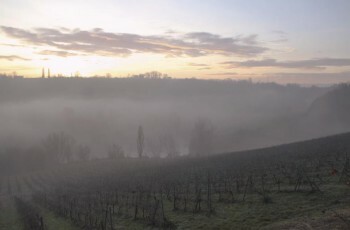 The estate covers an area of fourteen hectares (35 acres), including deciduous woodland containing oaks and other trees as well as a natural lake. 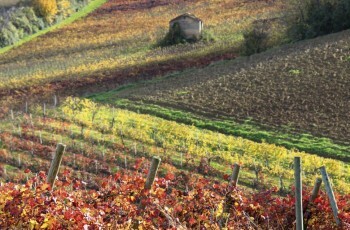 The vineyards are mainly divided up between two zones, of which one (just below the winery) has south-easterly exposure and the other faces due east. 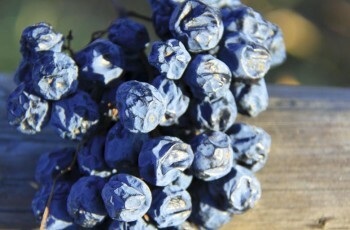 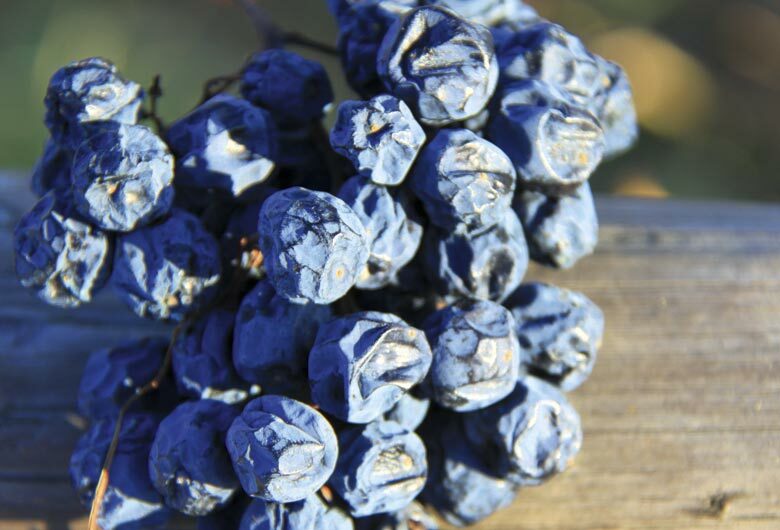 This results in different times of ripening and varied characteristics. 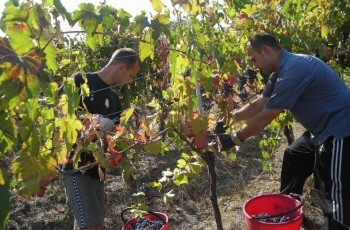 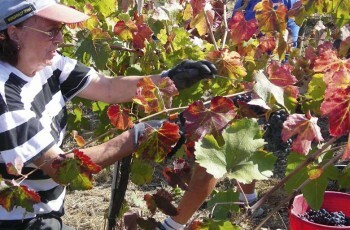 Harvesting at Pederzana takes place entirely by hand, selecting the ripest and healthiest parcels of grapes, from which are produced – in particularly favourable years – the special wines: Puntamora, Cantolibero and the Estate’s pride and joy, Ubi Maior, made from perfect grapes chosen bunch by bunch in one of Pederzana’s small vineyard sites. 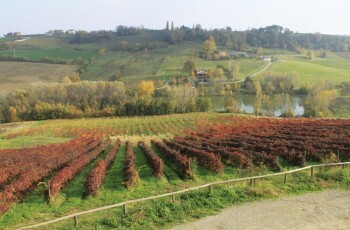 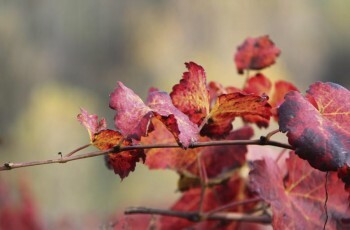 Grasparossa di Castelvetro, whose name derives from the characteristic red colour of the stalks when the grapes attain full ripeness, is the grape variety that produces the finest wines among the diversified family of Lambruscos; it grows on hillside sites and produces low yields per hectare.It has always been vinified with long macerations on the skins that allow one to obtain a bright red wine with purplish highlights: an unmistakeable wine with a characteristic scent of morello cherries and vinous tones, and which is the perfect match for all types of fatty foods.